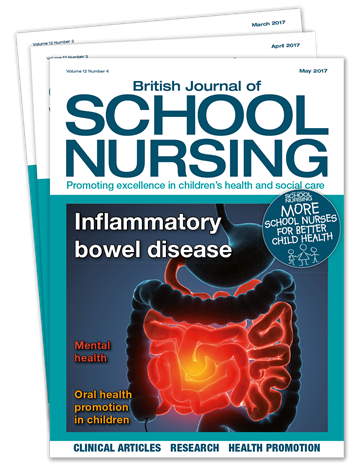 British Journal of School Nursing (BJSN) is the professional journal that supports the clinical expertise and practical skills required of the UK's school nurses and other public health workers involved in the health and social care of young people. 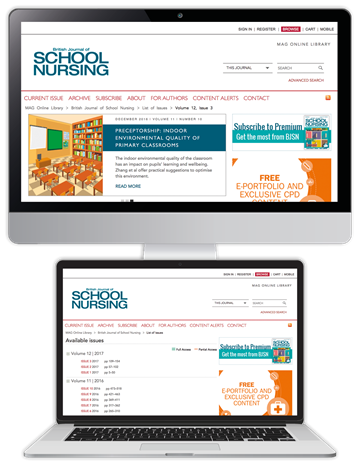 It publishes wide range of clinical and professional information; articles are written by experts and subject to double-blind peer-review to ensure that the journal is accessible, relevant and useful in daily practice. Subscribe now and get your first issue for only £1 - a saving of over 97% on our normal rate. 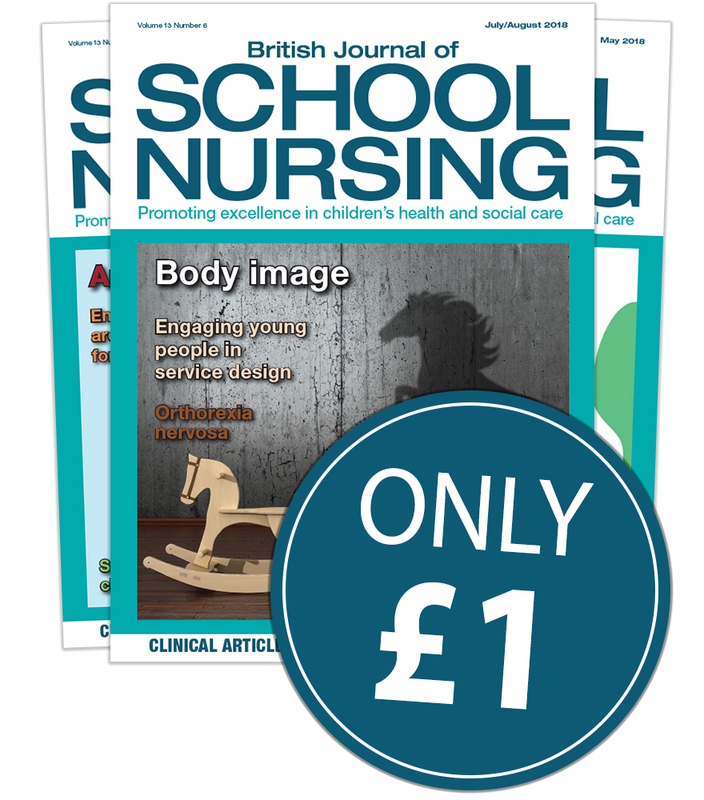 Try British Journal of School Nursing for just £1 today and discover how we can help you in practice. It will revert to our normal price after three months - but you can cancel your subscription anytime. *£3 for the first three issues of your subscription. £39.00 per quarter thereafter. Payment taken by Direct Debit every three months.